Magnetotactic bacteria are a diverse group of prokaryotes that share the unique ability of biomineralizing magnetosomes, which are intracellular, membrane-bounded crystals of either magnetite (Fe3O4) or greigite (Fe3S4). Magnetosome biomineralization is mediated by a number of specific proteins, many of which are localized in the magnetosome membrane, and thus is under strict genetic control. Several studies have partially elucidated the effects of a number of these magnetosome-associated proteins in the control of the size of magnetosome magnetite crystals. However, the effect of MamC, one of the most abundant proteins in the magnetosome membrane, remains unclear. 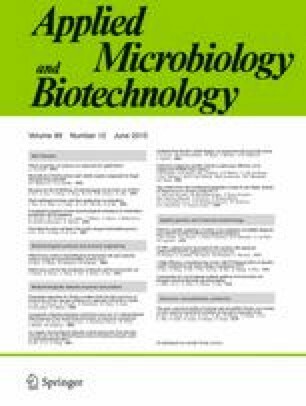 In this present study, magnetite nanoparticles were synthesized inorganically in free-drift experiments at 25 °C in the presence of different concentrations of the iron-binding recombinant proteins MamC and MamCnts (MamC without its first transmembrane segment) from the marine, magnetotactic bacterium Magnetococcus marinus strain MC-1 and three commercial proteins [α-lactalbumin (α-Lac), myoglobin (Myo), and lysozyme (Lyz)]. While no effect was observed on the size of magnetite crystals formed in the presence of the commercial proteins, biomimetic synthesis in the presence of MamC and MamCnts at concentrations of 10–60 μg/mL resulted in the production of larger and more well-developed magnetite crystals (~30–40 nm) compared to those of the control (~20–30 nm; magnetite crystals grown protein-free). Our results demonstrate that MamC plays an important role in the control of the size of magnetite crystals and could be utilized in biomimetic synthesis of magnetite nanocrystals. The online version of this article (doi: 10.1007/s00253-014-6326-y) contains supplementary material, which is available to authorized users. Financial funding for this work was provided by grants CGL2010-18274 and CGL2013-46612 from the Spanish Ministry of Culture (MEC). We thank Dr. Angel Delgado Mora (Universidad de Granada) for the Z-size analyses and Rafael López Moreno for the assistance in the experiments. We thank the Centro de Instrumentación Científica personnel from the University of Granada for the TEM analyses and technical assistance and to the personnel from La Factoría (Granada) and LAC (IACT, CSIC-UGR) for their help in protein expression and purification. T. Prozorov acknowledges support from the Department of Energy Office of Science Early Career Research Award. Magnetization measurements and part of the electron microscopy analysis were carried out at the Ames Laboratory (US DOE, Iowa State University), contract no. DE-AC02-07CH11358. D.A.B... is supported by US NSF Grant EAR-1423939 and by SC-12-384 (US DOE C02-07CH11358, Ames Laboratory at Iowa State University). Finally, we also thank C.S. Romanek and three anonymous reviewers for their comments and suggestions that have greatly improved this manuscript.